For moments of family fun, or solitary swimming lengths, enjoy our 230 m2 heated pool, accessible during campsite opening hours. The main pool is 1m70 deep and there’s a paddling pool for toddlers. Adults can also enjoy relaxing moments in the jacuzzi. During the months of July and August, our sports entertainers offer water sports activities. Want to relax after your swim? 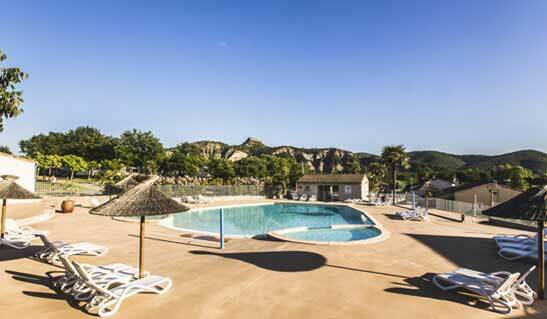 Just open the gate onto our lounge terrace bar with a panoramic view over a portion of the campsite and Sampzon rock. 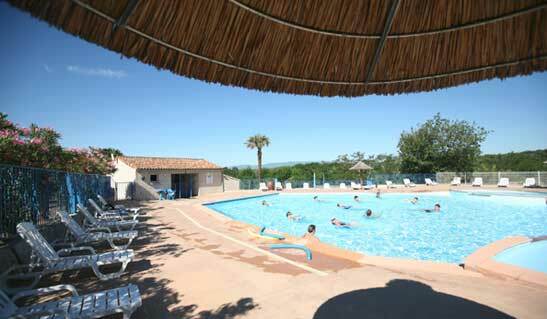 The pool is only accessible to guests staying at the campsite. 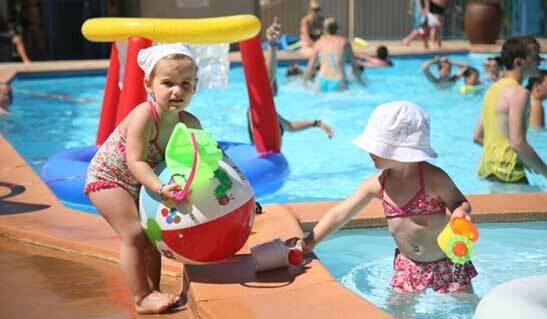 Wearing pool bracelets is compulsory to access the pool in July and August. For hygienic purposes, wearing long and/or loose swimming trunks is not allowed. The pool is heated, but its temperature will vary depending on outdoor temperatures.